"If it happens it happens. If it's about border security, I'm willing to do anything," Trump told the media at the White House on Wednesday. "If we don't protect our borders our country is not going to be a country, so if it's about border security I'm willing to do what has to be done," the president added. 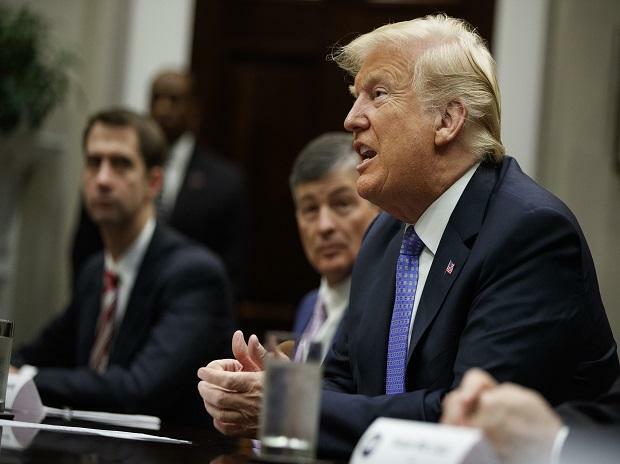 The remark comes ahead of Trump's meeting with congressional leaders over the legislative agenda for the next few months, including extending funding for the federal government past a September 30 deadline, Xinhua news agency reported. "I don't see even myself or anybody else closing down the country right now," he said. House Speaker Paul Ryan told a press conference earlier in the day that a shutdown was "not in anyone's interest, and he (Trump) knows that". The US Congress is working on passing a series of funding packages for the new fiscal year, which begins October 1. Trump could force a partial shutdown of the government in October if he vetoes the funding bills. The US federal government has occasionally been shut down in the past year, mostly when Congress failed to reach a spending bill due to political infighting.